You must make reservations at least 5 minutes in advance of the time at Cabaret Restaurant. Between W. Tupper &amp; Chippewa Streets. Parking is available for our customers directly behind our building, when there is not a local event. Cabaret Restaurant offers drop off catering from small to large groups. Contact Clara at 716-842-4181 for more information. 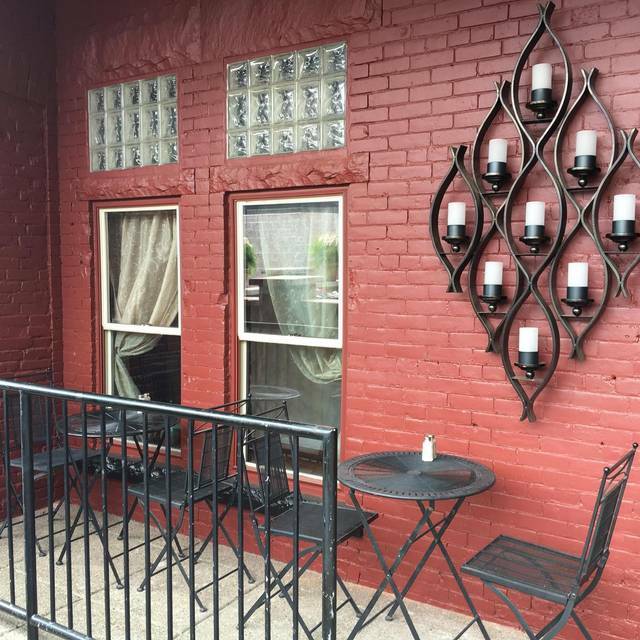 For casual dining “in the heart of Buffalo’s theater district”, Cabaret is the go-to location. A vibrant bar and relaxing dining ambiance provide guests with a historic and relaxed feel, allowing them to stay as long as their hearts and stomachs desire. A dinner menu includes the heartiest home cooked meats and freshest seafood options available. Guests can also order pasta, salads and sandwiches. Cabaret provides several banquet opportunities, allowing large groups of after-theater partiers to have a relaxing meal full of cheer and excitement. Cabaret provides a full wine service, selling several delicious wines by the bottle or glass. Choose from a variety of reds, whites, and sparkling wines to best accent your favorite dinner at the end of a busy and entertaining day. The meals were acceptable. Sound in restaurant was very loud. I would like to see more lighting. I dont care to sit at a dark table. Server forgot our salads. Did not bother to compensate for it. seemed as if he was in a rush to leave. both steaks were overcooked but was going to a show and did not have time to remake. steak temps should be reviewed and noticed by both kitchen staff and food runner. Delicious food, great atmosphere and the food came quick since we were going to sheas for a show. A Wonderful meal. Quick and friendly service! Our waitress Stacy is wonderful! We request her everytime we come. The clams casino are the best we ve had. The dinner was amazing. This is by far our favorite restaurant !! Great place for dinner before an evening of theater at Sheas. Very attentive service. All the food was of good quality and fairly priced. We will be back! Nadine, Clara and KELLY are the BEST!!! Seated quickly. Server was courteous, friendly and attentive. Love the Tenderloin. Salmon was excellent. 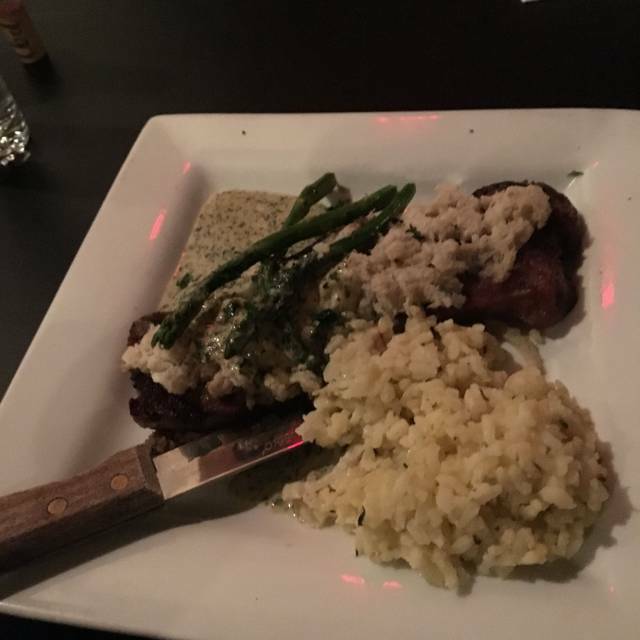 NY Strip special was OK - requested medium rare but was over cooked. All in all a pleasant experience. The service was very good. Our waitress was extremely helpful and took very good care of us. The food was great! We really had a great time! Food was fair at best and pricey for the quality. Clams casino was awful. Dessert portion was ridiculously large. Wine tasted old. Very noisy and hard to hear. Overall would not go back which is unfortunate given the great location. Excellent as always, that's why we always go back! Our evening out started when the hostess couldnt find a table for us (we had a reservation!). Then she proceeded to take us to a very very small table that could barely hold 2 plates. We asked to be seated at another table, there were 3 other tables available. We got the eye roll, then an okay. She was somewhat rude. Not a good 1st impression st all. Food was average at best. Both my husband & myself thought our food was okay, not bad just so-so. For the prices they charge we didn’t think it was worth it. The wine I ordered tasted old. I sent it back with no problem. The waitress was awesome. We will probably never go back. Great food in a great atmosphere. We went to Cabaret before a show at Shea's and had a wonderful meal at Cabaret. The choices on the menu were good and was served very quickly. the food is always great at Cabaret and very reasonably priced with daily specials. Portions are quite generous. The bar is also good to eat and drink at. Not far from all the theaters. But make reservations early as they sell out fast. Was perfect as usual!! Nadine does an awesome job! Food is delicious and always hot!! I try to get a reservation for every show!! the restaurant is very convenient to have near Shea's so walking distance is great in case of rain or bad weather. The noise level is a little high. The bathroom for women was extremely cold and many ladies complained. Service was excellent and server very informative. Great service by our server Amanda! Sfevhad great recommendations. We love the atmosphere there. Thank you! Server didnt know the menu. Talked very quietly and the place was loud so we couldnt hear her. Took 15mins to order drinks. 2 ppl got food and then had to wait 5mins for the other 2. This was our second time for dinner and my husband and I were not pleased with the food this time. It was very salty tasting and our waitress was good up until we received our food. After that, we never saw her again until it was time for our check. A little disappointing this time around. One of my favorite restaurants in Buffalo. Great atmosphere, great food! My only complaint it was chilly along the windows and the hostess seemed put out when we requested to change tables. She was the only downside to a very nice evening. Took 5 grandkids ages 11-18, great place for a pre-theater dinner. Food, portions, service...everything met all expectations! Always enjoy my meals st thr Cabaret. Fun setting before a show or sabres game. Service was pretty quick, toi. Very busy evening but the staff were excellent and service was excellent! Had a great meal before our show at Sheas. Waitress was attentive and friendly. Thank you for starting off a great family evening. Great dinner on a busy theater night. Wonderful location before a show. Thank you! The service was outstanding!! Food was excellent with generous portions!! I highly recommend The Caberet!! As a table of ten which included three children, I was so pleased!! The food was good. The noise level was beyond loud. We actually this restaurant because of its proximity to Sheas. The waitress was friendly but she only came to our table 3 times. Sorry, we will not be going back.